Nadeem Nazar is an Urdu columnist who writes columns in Urdu which is the national language of Pakistan. You can read latest columns of Nadeem Nazar on this page. Urdu columns of Nadeem Nazar are updated on daily bases with latest views and words on different aspects of the world including political and country's situation. 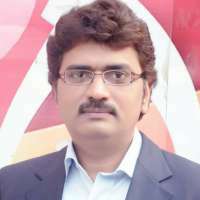 Nadeem Nazar is a famous columnist.He is magazine editor of Daily ausaf newspaper and writes column in daily ausaf newspaper.